David’s note: John, you’ve officially broken the record for oldest person to have an SFDC99 success story =) You know what, you’ve inspired me to take a look at myself to see if I have any bias against older professionals. If I missed out on a candidate like you it’d be a huge loss! Thank you for sharing and reminding us that age is just a number! 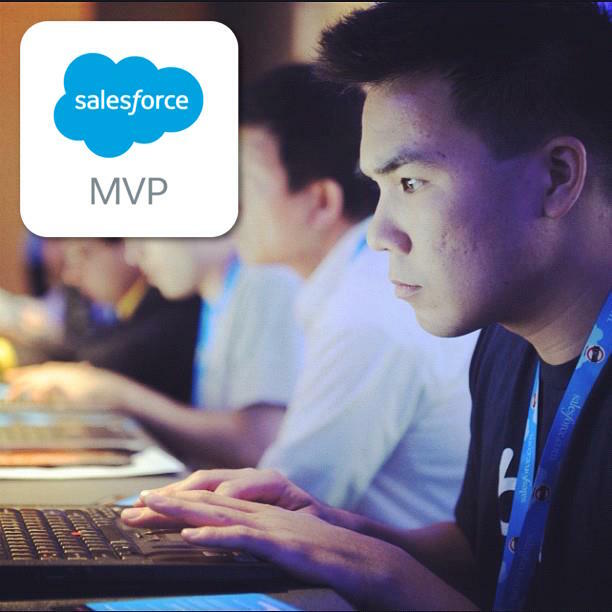 You ​have posted ​some great​ stories recently about​ older folks who ​have ​transitioned to Salesforce developer. So, I thought you might like my story too. ​Recently I started a new job as a Solution Architect for one of the Salesforce​ Platinum​ Partner consulting firms. Cool title. I believe there is some age discrimination in the workplace. It was mentioned in a recent HR ​diversity ​webinar I took during onboarding with my new employer. In the Salesforce industry, if you know the subject matter, the demand is high enough that some companies are willing to hire us more mature Salesforce professionals. The age discrimination issue doesn’t get as much attention as some of the other diversity issues, but as the baby boomers age and are forced to work longer, it might become more of an issue. I have a BS in Computer Science. I ​was a systems programmer for ​many ​years. ​After some success, I went into the NPO world managing technology for good. I stopped programming ​and started work​ing​ in the NPO technology space. I started working on Salesforce over 6 years ago. I came into Salesforce from the NPO side. I worked at a non-profit technology company that did consulting projects for other NPOs. We also ran an HMIS database system for 5 counties. Our users came from many NPO agencies. The HMIS database had over 600 users and we needed a help desk! A woman on board of directors recommended we use Salesforce to build the help desk because it was ​​free for NPOs. Thanks for being my Salesforce mentor Connie! I rolled out Salesforce with Cases and a help desk. Email-to-Case, Web-to-Case, assignment rules, all that fun stuff. I really enjoyed working on the platform. We used it for the help desk, to track grants, and I started getting requests for more features. I decided to go to Dreamforce. Wow! Mind blown! During Mark’s keynote, he asked everyone that worked for NPOs to stand up and be recognized. I was humbled. He said these people are doing God’s work, help them. I still​ do some​​ volunteer work for my favorite NPO, an agency I helped convince to manage their programs using Salesforce. I have told a few of my older developer friends that if they want to renew their skills, stay productive, and work on a fun platform with a great community behind it, learn Salesforce! But sometimes it’s hard to teach an old dog new tricks. Not this old dog. This is amazing, Thanks for Sharing your story David such amazing story and John to be open. I can say that I at 32 years old sometimes think for silly moment, maybe i should not focus so much on new things and stick to normal and secure path but only to later be slapped in the face with gloves of such determination and passion to keep growing and have this push every morning to know more and become a better professional and having loads of fun with Salesforce. Have wonderful day everyone and kisses from Dubai. John you are an absolute inspiration! 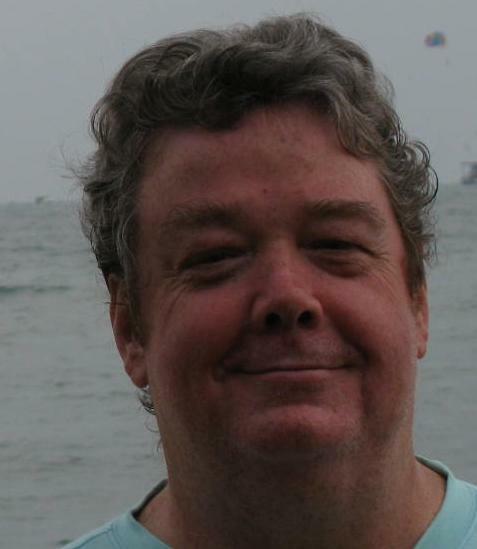 I’m a Salesforce support agent and now 61 years old. 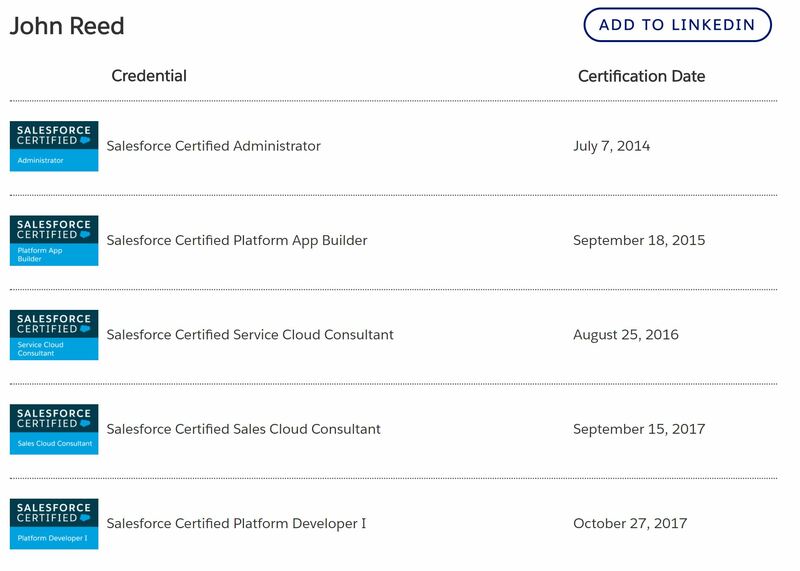 With Salesforce training and some great training from SFDC99, I now have an Admin and Platform Builder 1, and a Developer 1 certificate. I started my job at Salesforce as my first job after my CS degree about 3 years ago (yes, I went back to school for a second degree at 55 years old). I have a prior degree in Business Admin, but not a lot of computer programming experience. Its challenging sometimes, but just the sort of challenge that I thrive on. I’m doing way better than I hoped for, and really enjoying it! Salesforce as a company is very clear about age discrimination- so I feel valued and not discriminated against at all. We all work as a very diverse team, something I have come to really love about this journey with Salesforce. To all those thinking of a new career- create the space to do it- and push yourself to keep going till its yours. Its not easy, but the end reward is outstanding! Great job John! I too am an older worker at 55 years and trying to break into Salesforce. Currently I am volunteering my time as Salesforce NPSP Admin for a local NPO and am going to be setting up another local NPO on NPSP. I just received my Salesforce Administrator certification a couple of months ago and am working on getting other certifications as well. Just like you John, I have a background in technology, over 25 years, but am having more difficulty breaking into Salesforce. Your post is very inspiring! Thank you! You go, John!! You are definitely much smarter and cooler than most of us! Age is indeed a mere number in itself for talented people alike. Keep Shining! I love these of stories. They make me smile. Way to go John and Federick! This is awesome and thanks for sharing. Age means nothing, and some people are going through a career change and need to reinvent themselves. Salesforce certification is the way to go! I have been trying to inspire my 60 year old mom who is looking for a sales job to get certified and go into Sales role for Salesforce. I am going to forward her your post. God Bless! Its great to be working with you and learning from you. I loved reading this post.